NATIONAL WORSHIP LEADER CONFERENCE, NASHVILLE (May 20-21, 2019) The NWLC has become an inspirational and informative gathering that brings together musicians and songwriters, movers and shakers, theologians and scholars across the global worship community. I’m a workshop teacher at this event, speaking on worship and the arts, as well as demoing the WalkaBout Drum. This event will be held at Brentwood Baptist Church, 7777 Concord Road, Brentwood, TN. Register for this great event here, and use the “FRIENDS25” to receive 25% off! BICOL CENTER FOR CHRISTIAN LEADERSHIP, LEGAZPI (June 1-13, 2019) I will once again be traveling to Legazpi, Philippines, to support our good friends at BCCL, to teach classes and workshops, and lead worship. This is my fourth trip to support these great people and ministry, and I’m excited to be bringing a small team with me this time. Please let me know if you’d like to help sponsor this trip. NAMM SHOW, NASHVILLE (July 18-20, 2019) The INNOVA crew will once again host a booth at the Summer National Association of Music Merchants Show at the Music City Center in Nashville, Tennessee, to show off the WalkaBout. There are quite a few exciting developments to share, and we’re busy preparing for them. If you’re a NAMM participant, please make sure you come by our booth! More info on walkaboutdrum.com. WINE & WEENIE PARTY AT BOEGER WINERY, PLACERVILLE (August 3, 2019) Bring your favorite canine to this fun event at Boeger Winery. Waiting For Sunday will provide the music, with food and other dog-friendly activities from 11 AM till 4 PM. Boeger Winery is at 1709 Carson Road, Placerville. SUNSET SIPPIN’ AT BOEGER WINERY, PLACERVILLE (August 16, 2019) Waiting For Sunday has turned into a permanent band at Boeger’s annual Sunset Sippin’ Concert Series. Come out to Boeger Winery, 1709 Carson Road, Placerville, from 6-9 PM, for some tremendous wines and some fun music! INTERSECTIONS: FAITH & THE ARTS, SACRAMENTO (Fall 2019) If you’re a dancer, painter, musician, actor, writer, etc., you need to come to this gathering of artists of faith! Stay tuned for exact dates and details for this bi-annual event. 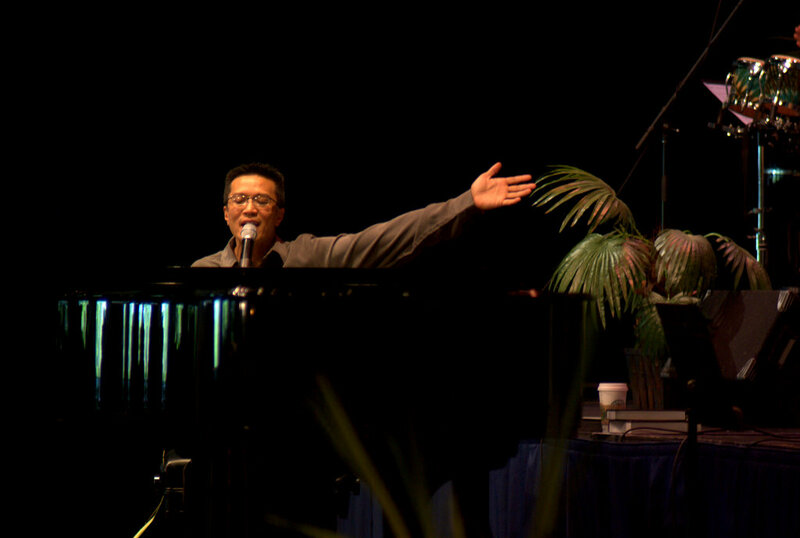 OTHER ENGAGEMENTS I’m always looking for opportunities to speak on worship or faith and the arts, perform as a soloist or with my duo, Waiting For Sunday, or my trio, ML3, and lead worship with God’s people. If you’d like me to visit, please contact me. I’d love to join you in your journey. OAK HILLS CHURCH As the Creative Arts Pastor, I regularly lead worship at my home church (1100 Blue Ravine Road in Folsom, phone 983-0181). While I don’t consider this “performing” in the typical sense of the word, I would love to have you join us as we meet God together. Services are Sundays at 9:00 & 11:00 AM. To get the latest info, friend “Manuel Luz,” “Manuel Luz Trio,” “Waiting For Sunday,” and “Imagine That Book” on Facebook. THANKS!